Your alarm goes off and you get out of bed. You go outside and grab the morning paper. You sit down at the kitchen table to read your paper while enjoying a glass of juice and some toast. After breakfast you head down to the local hardware store to pick up supplies to tackle your weekend to-do list. For many Americans, that simple morning routine would bring them in contact with at least five different cooperatives. That alarm could be powered by electricity from one of Tennessee’s 23 electric co-ops. The paper is likely filled with stories from the Associated Press. The juice might be Sunkist, Ocean Spray or Florida’s Natural. The butter on your toast could have been processed by one of several dairy co-ops, including Dairy Farmers of America or Land-O-Lakes. If the local hardware store is a True Value, Ace or Do-It-Best, then it’s part of a co-op, too. If you’ve been a co-op member for long, you’ve probably heard these examples before. What you might not realize is that this time-tested business model has been rediscovered by a new generation of Americans who appreciate doing business with locally based organizations that put people ahead of profits. Co-ops are experiencing a surge in popularity. Today, it is estimated that one in three Americans is a member of at least one cooperative. 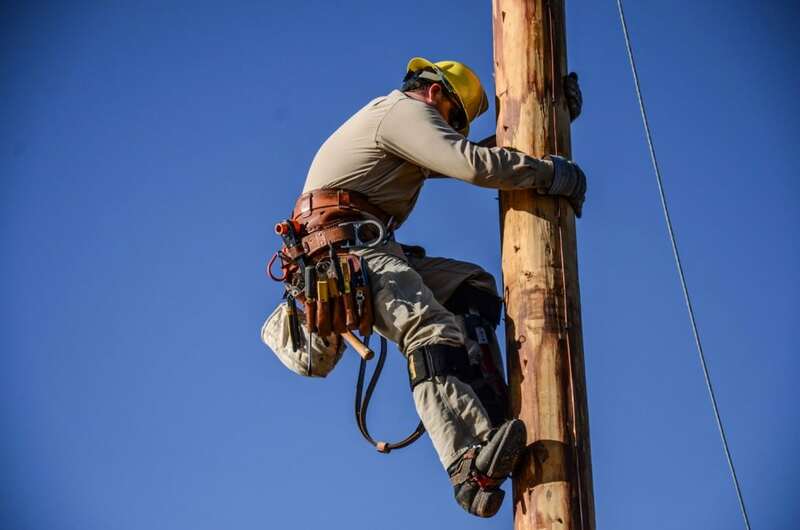 America’s electric cooperative network now serves 42 million Americans. In 2014, America’s credit unions surpassed 100 million members. In addition to the growth of true cooperative organizations, there has been a surge in the popularity of other funding and business models that feature many of the same traits as cooperatives. Websites like Kickstarter and GoFundMe allow large groups of people to pool small contributions to achieve a larger goal. Though groups raising money through these sites aren’t cooperatives, it’s clear that an increasing number of people are seeing the value of working together and pooling resources to improve their communities. The benefits of being a member of your electric co-op go far beyond the warm fuzzy feeling we get from supporting a local business and keeping our dollars in our communities. As a not-for-profit cooperative, our sole mission is to ensure you have safe, reliable and affordable electricity when you need it. We aren’t in business to make a profit, we aren’t trying to get elected to public office and we don’t have a hidden agenda. Our job is to look out for you and your fellow co-op members. That’s important to keep in mind in as we go through an unprecedented period of transition in the energy industry. The coming years are likely to bring many changes to the way our nation generates, delivers, stores, consumes and regulates energy. When an industry goes through a change of this magnitude, there will be many interest groups vying to influence policy and advance their agendas. As that process unfolds, there will only be one group that’s truly acting as the voice of energy consumers, and that’s America’s electric cooperatives. We don’t know exactly what the future holds, but you can rest assured knowing that your electric co-op – and more than 900 other not-for-profit electric cooperatives across the U.S. – will be working hard to ensure your voice is part of the conversation. And that’s the cooperative difference.